Looking for a memorable date night this Valentine’s Day? All aboard the Yacht StarShip for a romantic lunch, dinner or dessert cruise! 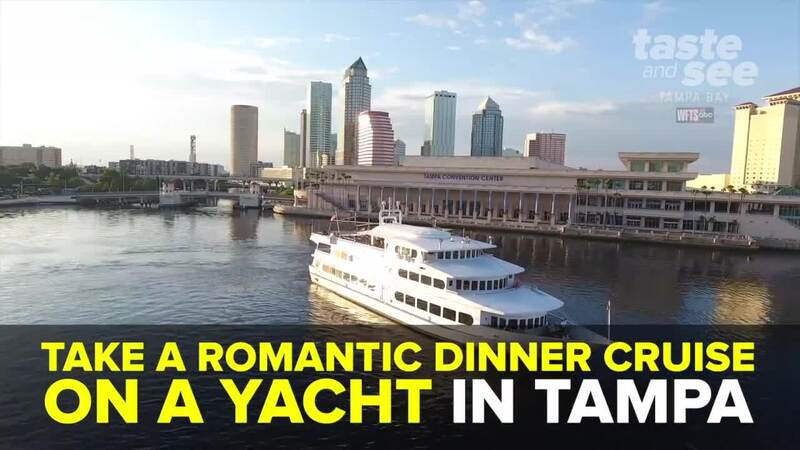 Sail along the Hillsborough River in downtown Tampa with delicious cuisine, intimate seating, great views and an electric dance floor. TAMPA, Fla. — Looking for a memorable date night this Valentine’s Day? All aboard the Yacht StarShip for a romantic lunch, dinner or dessert cruise! Sail along the Hillsborough River in downtown Tampa with delicious cuisine, intimate seating, great views and an electric dance floor. If you're looking for the VIP experience, the cruise offers a 3-course meal, premium open bar, unlimited champagne and a complimentary boarding photo. Adult ticket prices start at $49.95. Make sure to make reservations in advance!